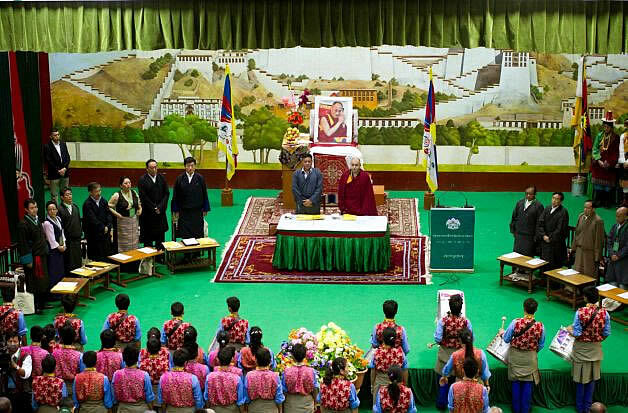 As predicted in the previous post the ‘Special Meeting Of Tibetans’, convened recently by the body formerly known as the Exiled Tibetan Government, in Dharamsala, Northern India revealed itself as little more than a public exercise to endorse the long failed strategy of appeasement towards China’s Regime. In essence this seeks so-called meaningful autonomy, with Tibetans left under the tender mercies of China’s national and regional laws, in effect it would see Tibetans submitting to China’s claims that Tibet is part of China, and its people just another Chinese national minority. Anyone who has doubts on this should make a big pot of coffee and devote an hour to read carefully the Memorandum On Meaningful Autonomy For Tibetans a document which surrenders Tibet’s nationhood and is the suicidal basis of Tibetan negotiations with China’s authorities. Once again the struggle of Tibetans in occupied Tibet, who so bravely resist China’s tyranny to demand their nation’s independence, has been entirely ignored and marginalized by a cabal which draping itself in Tibet’s national flag, in truth has exchanged courage and determination with compromise and capitulation.